Giovanni da Modena is first recorded in Bologna in 1409; the following year he was paid for the hangings for an important funeral in San Francesco, Bologna. His major surviving work is the fresco decoration of the Bolognini Chapel in San Petronio, Bologna, commissioned in Bartolomeo Bolognini's will of 1408. It is attributed to Giovanni on the basis of his later work (1420-21) in the neighbouring chapel of S Abbondio. Bolognini stipulated that there should be a Paradise, in which Giovanni shows rows of saints seated on benches, contemplating the Coronation of the Virgin, an Inferno 'as horrible as possible' and a Journey of the Magi. On the altar wall Giovanni, assisted by Jacopo di Paolo (who painted the altarpiece and stained glass), depicted the Legend of St Petronius, bishop and protector of Bologna. The fresco of the installation of a bishop (perhaps Giovanni di Michele of Bologna, reg 1412-17) by the anti-pope John XXIII suggests a dating of c. 1412-20. 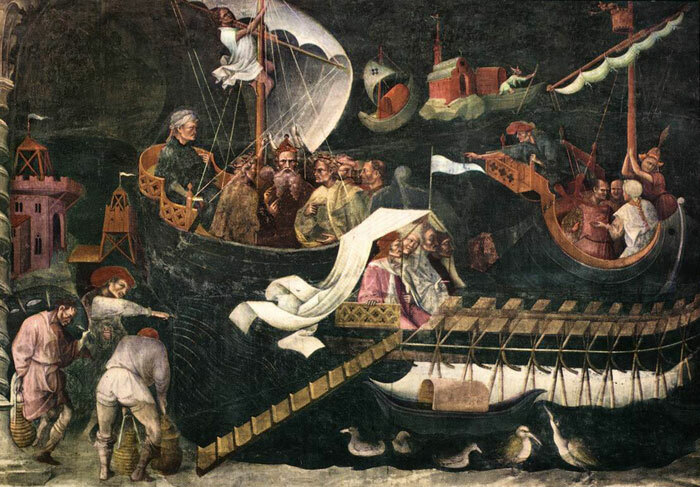 The Petronius scenes are set against details of Bologna's townscape; the embarkation and papal scenes recall illuminations of Bolognese shipping law and canon law manuscripts respectively. The hollow-cheeked faces and dark shadows probably show the influence and assistance of Jacopo di Paolo. The Departure of Petronius reflects Giotto's Visitation (Padua, Scrovegni Chapel), though this echo may be via Tommaso da Modena, another likely influence on Giovanni. 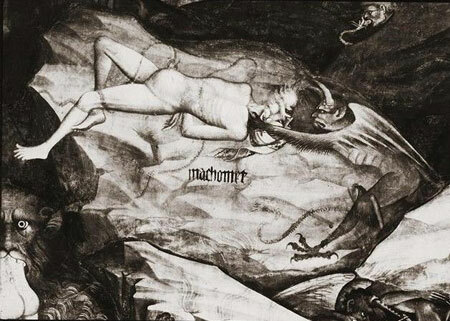 A similarity between the Inferno scene and those of the Master of the Brussels Initials also has been shown. But the architectural style, the rocky gorges, the pinks and greens and the long oval faces with dreamy eyes show that Giovanni's style was above all adapted from Agnolo Gaddi's, adding an International Gothic interest in the fashionable, lavish and exotic that was probably fuelled by contact with the art of the Visconti court and with foreign visitors in Bologna. Such details as pointed Hungarian hats, baggy-brimmed boots, extravagantly curled beards and a jester wearing bells appear alongside stewards driving flies from camels. The panels of SS Cosmas and Damian (Berlin, Gemäldegalerie) can be closely associated with these frescoes in date and style. The Basilica of San Petronio is the main church of Bologna, Emilia Romagna, northern Italy. It dominates the Piazza Maggiore. It is the fifteenth largest church in the world, stretching for 132 meters in length and 60 meters in width, while the vault reaches 45 meters inside and 51 meters in the facade. The basilica is dedicated to the patron saint of the city, Saint Petronius, who was the bishop of Bologna in the fifth century. In 2002, five men who it was believed were connected to Al Qaeda and were planning to blow up the building, were arrested. Again in 2006, plans by Muslim terrorists to destroy the Basilica were thwarted by Italian police. The terrorists claimed that a 15th-century fresco inside was insulting to Islam. 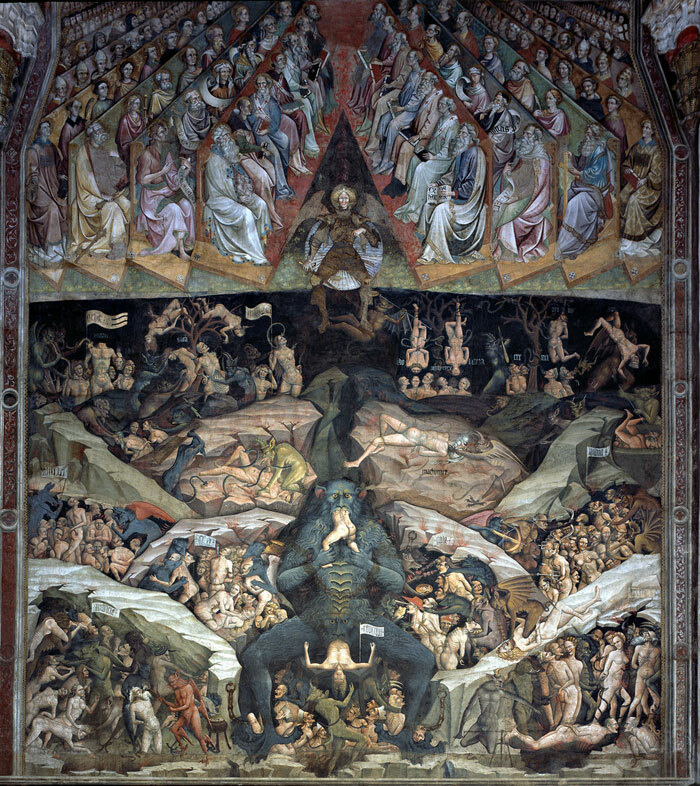 The fresco, painted by Giovanni da Modena, represents a scene from Dante Alighieri's Inferno, and depicts Muhammad in Hell being devoured by demons. Such imagery has been part of Western and Islamic culture since the Middle Ages. 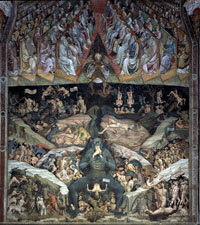 Giovanni da Modena placed Muhammad in the top part of the image, on the immediate right of the monstrous Lucifer. Muhammad is represented as an elderly man with a long beard, naked and tied, lying on a rock while a demon tortures him. Muhammad’s identity can be recognized also thanks to the caption “Machomet” just beneath the pictorial representation of his tormented body. This article incorporates material from the Wikipedia article San Petronio Basilica published under the GNU Free Documentation License. Wikimedia Commons has media related to Giovanni di Pietro Falloppi. Podere Santa Pia is a restored farmhouse, appointed with terra cotta tile floors, exposed ceiling beams, where you can spread out, relax, and recharge for the next day of activity. Here you find the perfect vacation rental for your needs and desires. 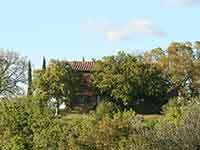 Enjoy fine wine, cheeses and explore medieval Montalcino and Pienza. Explore the medieval hillside villages of Montepulciano, Montefollonico and Montichiello. Marvel at settlements that date back to Etruscan times, and try some Pecorino cheese in Pienza, and some Vino Nobile in the stately Renaissance village of Montepulciano, where the refined beauty of the churches blends perfectly with the ancient traditions of its wines. Santa Pia is perfect for both big groups and families who love to spent some time together but also like to enjoy their privacy as well. The central location of the holiday home allows you to visit the nearby beautiful villages Montalcino, Sant'Antimo, Pienza, S. Quirico d'Orcia and in the south Saturnia and Sorano - known for its beautiful Sasso Leopoldo. And the sea is 38km away in Marina di Grosseto.